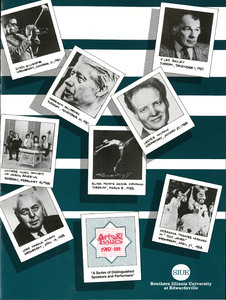 This image is the cover of the series announcement for the 1985-1986 Arts & Issues series. 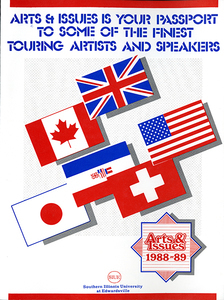 This image is the cover of the series announcement for the 1986-1987 Arts & Issues series. 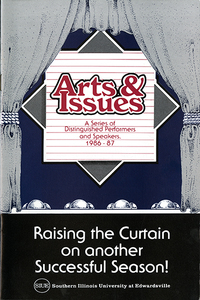 This image is the cover of the series announcement for the 1987-1988 Arts & Issues series. 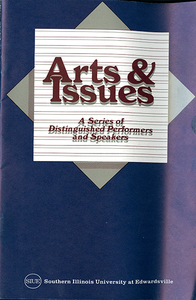 This image is the cover of the series announcement for the 1988-1989 Arts & Issues series. 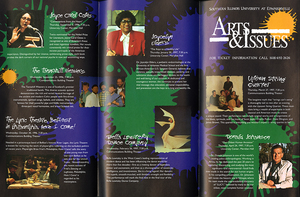 This image is part of the series announcement for the 1990-1991 Arts & Issues series. 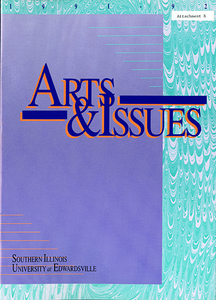 This image is the cover of the series announcement for the 1991-1992 Arts & Issues series. 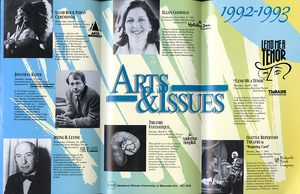 This image is the main page of the series announcement for the 1992-1993 Arts & Issues series. 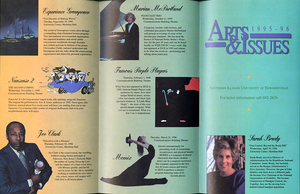 This image is the main page of the series announcement for the 1994-1995 Arts & Issues series. 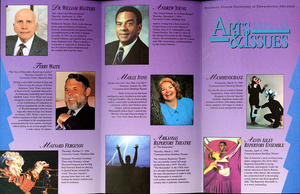 This image is the main page of the series announcement for the 1995-1996 Arts & Issues series. 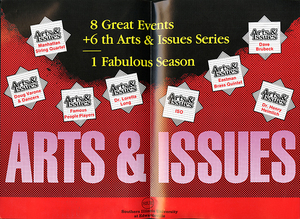 This image is the main page of the series announcement for the 1996-1997 Arts & Issues series.